When it comes to the world of football, the focus is never usually far from the Portuguese icon Cristiano Ronaldo and these days, the spotlight is on him once more, following his big money move to Juventus from Real Madrid. The club that has won the UEFA Champions League for the last 3 years and 4 times in the last five, have decided that it was time to usher in a new era at the Santiago Bernabéu, one that does not involve arguably the game's current best player, Cristiano Ronaldo. With Zinedine Zidane leaving at the peak of his managerial success, there were always going to be questions as to whether this would be the end of Real Madrid's cycle at the top, or whether a new man at the helm can continue. The man tasked with continuing Real Madrid's dominance in Europe and also wrestling back the La Liga crown from Barcelona is former Spain manager Julen Lopetegui, although he will have to do so with one of Los Blancos' greatest ever players to represent the club. The Spanish giants have conducted incredibly good business as Cristiano Ronaldo swaps Madrid for Turin. A fee of over 100 million euros has been quoted as the figure required to obtain his signature and when you consider that he is 33 years old, that is an eye watering sum of money. The legendary forward may well have played a huge part in Portugal's success in the European Championships a couple of years ago and although he scored four goals in Russia this Summer, he could not lead his nation to a first ever World Cup success. 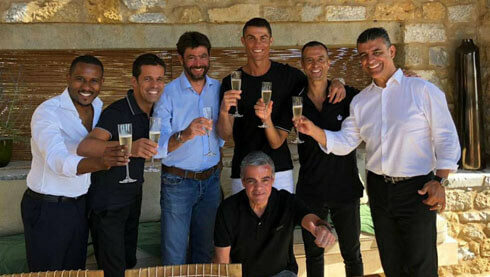 That earlier than expected World Cup exit meant that there was a brief Summer break for Cristiano to take advantage of, one that could well have seen him spend his time in one of Portugal's ten casinos. Such established venues as the Casino Lisboa in Portugal's capital city or Casino Funchal in the island of Madeira where Ronaldo spent his formative years, would have been more than willing to let he and his teammates into their buildings to blow off some post World Cup misery. It looks as if the World Cup is the one accolade that will end of being out of Cristiano Ronaldo's reach, especially when you consider that he will be 37 by the time the next edition of the competition swings around in 2022, when Qatar will host football's biggest party. 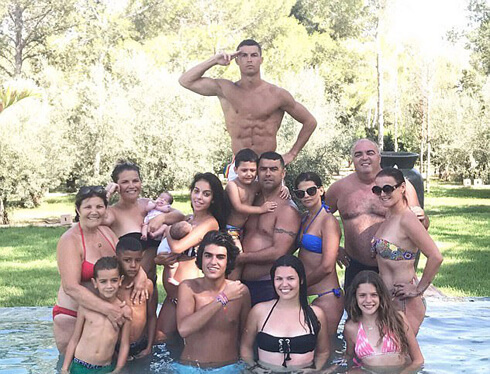 At the same time, with the peak physical condition that he is in, you would not put it past him to play some role in Portugal's attempt at World Cup success. However, if international honours are to allude him then he will be confident of conquering Serie A with Juventus. There is no question that Juventus have been the dominant outfit in Italy, the Old Lady of Turin have won the last seven Serie A titles that have been contested. It looked at one stage last season as if their stranglehold would finally be broken. That's because they were pushed all the way by Napoli, with a large portion of the season seeing them play catch up to Maurizio Sarri's men. However, that title winning experience shone through in the end, as they earned a seventh successive Scudetto in Italy. And with Cristiano Ronaldo now among their ranks, the Juventus hierarchy will be confident of winning an eighth straight title. To be fair, after spending so much money on this signing it will not just be the hope it will be an expectation. It's not only the outlay that Juventus have had to give to Real Madrid so that they can acquire the services of the Portuguese star, they also have to pay the player a considerably hefty wage also. One that will see him earn a staggering 2.5 million euros a month, or in other words a yearly wage of 30 million euros. That equates to 576,923 euros a week, more money that you or I would even know what to do with. There is no doubting that for all his talent and achievements he has certainly earned such a bumper pay packet. At the same time though, one does have to wonder just how all that much money can be spent. One place that could well see him not only spend it, but also increase it is one of Turin's casinos. Ronaldo has shown in the past that he is prepared to put his money where his mouth is. A statement that rings true both on and off the pitch, on the pitch he can back this up by pointing to the numerous awards and trophies that he has won over the years, while off the pitch he is not afraid of having the odd flutter. A point that was made evident when he hit the poker tables in Melbourne back in 2015. It is not clear exactly how much he won or lost that night, but if he carried his on-pitch success to the table, then he may well have walked away with a hefty amount of chips to cash in. At the same time though, if he was too busy to take the time to enter a casino, there is always the chance to play the wide range of online slot games that are available. One of them which would certainly catch his eye is "Football Star Online Slot". This game combines the love of Football with that of video slots and for Cristiano Ronaldo what better game to try your luck and see if you can match the skills that he possesses when representing club and country. 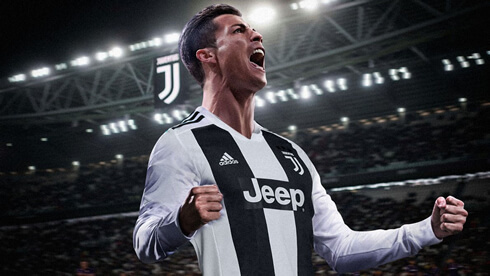 And once Cristiano has conquered all that has to offer then there is another football based online slot game that will undoubtedly catch his eye. That being Bicicleta slot game from Yggdrasil, with such features as Free Spins with Sticky Wilds and Bicicleta Kicks then more success could be just around the corner. Cristiano Ronaldo is pure and simply a winner, a trait he has developed throughout his career. If he applies that when playing either Football Star Online Slot or Bicicleta, then his already sizeable bank balance will only swell even further as the high life that he leads enters a new Italian chapter. 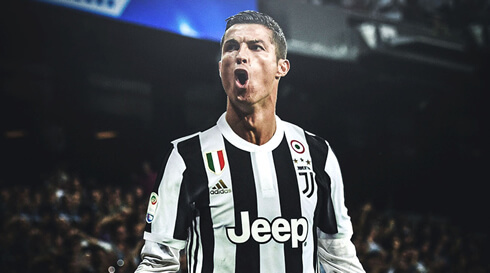 Cristiano Ronaldo next game for Juventus is on July 25 of 2018 against Bayern Munich. You can watch Juventus live stream, Manchester United vs Real Madrid, Tranmere Rovers vs Liverpool, Croatia vs England, France vs Belgium, and Bayern Munich vs PSG, all matches provided from our live football game pages.